Stephen has recently been admitted to the Chartered Institute of Arbitrators. Stephen has a wide range of expertise in all areas of family law, from leading child care cases to complex ancillary relief disputes. 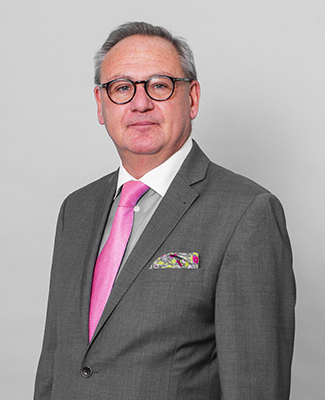 Although family law is Stephen’s specialist area of practice, his background includes extensive experience in both civil law and criminal law, which gives him highly developed skills as an advocate. Stephen’s principal specialism is ancillary relief, in which he has built up a successful practice built upon a reputation for incisive analysis and, where appropriate, robust advocacy. His civil expertise lends itself well to “big money” cases in which he is able to demonstrate a rigorous and structured approach to complex financial issues. Stephen has been described by the legal press as “approachable and dependable”. He is in great demand by leading family solicitors both in London and the regions and as a consequence enjoys a nationwide reputation as a leading family lawyer. Stephen places great importance on an open and friendly relationship with both solicitors and lay clients, and is a firm believer in providing a service which is practical, realistic, and tailored to meet the needs of individual clients. Stephen is an active participant in the continuing education of solicitors, by way of lectures and seminars. Respected senior junior who possesses a deep knowledge of matrimonial finance proceedings and regularly represents clients of significant wealth and international standing. He is additionally a qualified family arbitrator and sits in ADR proceedings. Respected senior junior who possesses a deep knowledge of matrimonial finance proceedings and services clients of significant wealth including international persons. He is additionally a qualified family arbitrator and sits in ADR proceedings. Respected senior junior who possesses a deep knowledge of matrimonial finance proceedings and services clients of significant wealth. He is additionally a qualified family arbitrator and sits in ADR proceedings. A financial remedy specialist who is “able to get straight to the point and really narrow the issues down.” He has developed a particular expertise in jurisdictional issues. Practises exclusively in the sphere of matrimonial finance, and is strong on cases concerning complex jurisdictional disputes. Recent work: Represented the husband in a much-publicised case in which the ex-wife commenced a high-profile relationship with international footballer Cesc Fabregas.